The idea behind ApprovalMax is plain and simple, but makes a real difference: it reliefs finance managers of the day-to-day pain and headaches of chasing Approvers. How we manage to do that? Well, one of the most annoying and disruptive things about running a business are approvals without proper controls that could lead to disaster if dealt with wrongly. So we delved into each phase of an approval process and took notes of every little detail. 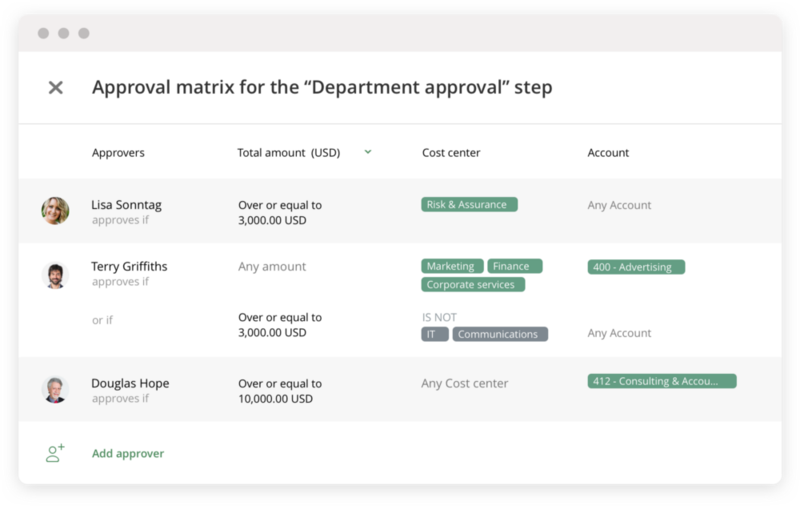 Now we’re able to help SMBs to simplify their approval process without having to customize the accounting system. 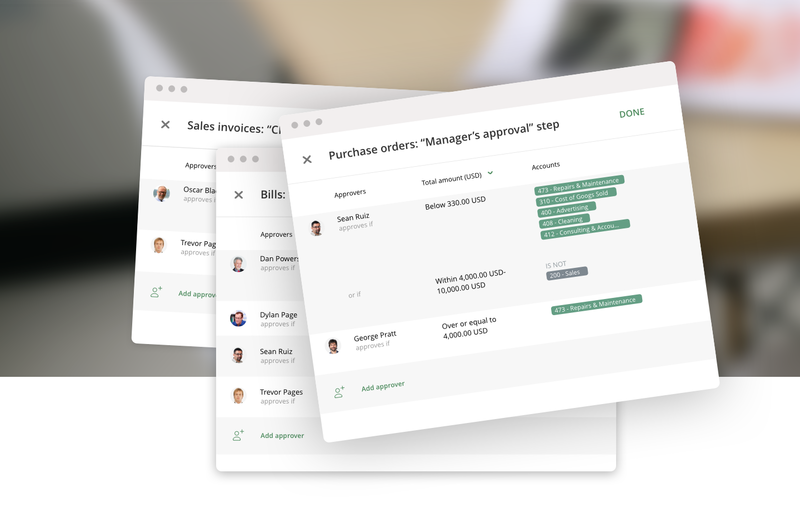 After all, the best solution for approval workflows is the one that keeps the IT guys at bay and makes the setup as easy and clear as possible. Why on earth did Dan (or John, or Mary) not check that blooming Purchase Order? Our warehouse is overflowing with that kind of stuff and it’s been there for ages! Late Friday evening. Looking through your department Bills, you find plenty of them stuck in Xero for approval and nobody bothers to take care of them – leaving you to sort it out. Confusion and misunderstandings regarding procedures make figuring out how to proceed difficult for employees. You dedicated so much time writing down your business rules, but nobody really wants to read a pile of paper with instructions on how to handle a case if it’s like this, and what to do if it’s like that. In fact, probably even you cannot remember all those complicated rules – we are only human after all. Occasionally, a Bill or Sales Invoice is overlooked because the responsible person is on holiday or out of office. Or, your manager simply doesn’t know that his approval is needed. Yeah, we all know how these things happen. But what exactly can be done about such poor day-to-day compliance routines? Finally, we managed to work out a really simple approach for solving these issues. And from our customers we have the proof of concept for all our features listed below. Yes, we did get it right! Let’s picture an approval process for Bills (or Purchase Orders, Sales Invoices, etc.). It’s basically a matrix that defines who should when and why approve which Bills depending on the rules. We decided to design our approval matrix in exactly the same way. In the ApprovalMax approval matrix you define the rules for who approves which Bills. Say, Lisa Sonntag approves only Bills that are “over or equal to $3,000” AND belong to the cost centre “Risk and Assurance”. When a new tracking category, inventory item, or account code is added in Xero, chances are that this is not reflected in the approval matrix. To avoid an automatic approval of such not yet allocated requests, a “Default Approver” can be set for each step. If nobody is defined as an Approver based on the approval matrix, the item will be assigned to the Default Approver. Many of the finance managers we spoke to suggested a particular feature. So, we turned their hopes into reality. Relax! As an Administrator for your ApprovalMax Company, you can enforce the approval of any request and have the option of adding a comment to let everyone know why you’re doing it. Problem solved. Learn more about “Enforce decision”. Picture this: due to one of your employees being on sick leave or having left the company, or for any other reason, there’s a pile of pending approval requests that got stuck. 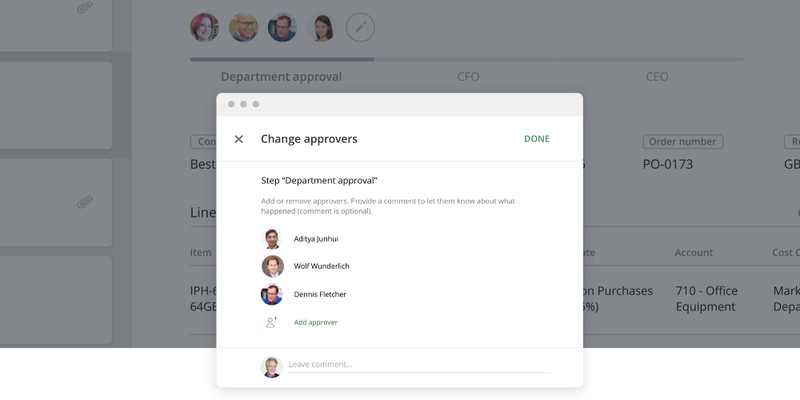 The easiest way for you (or any other manager) to get them moving: open each request, click on the “Change Approver” icon above the current (or following) step in the request’s approval workflow, add or remove the respective employee and hit SAVE. But we didn’t stop there – any Approver involved in a request (he doesn’t have to be a Company Admin) can ADD an Approver to the current or a subsequent step. By adapting Approvers in an open request, you avoid changing the approval workflow itself to address exceptional circumstances case by case. Learn more about “Changing Approvers on the go”. Approvers, Requesters, and Company Administrators can leave a comment in each approval request. These comments and all the history such as approvals, rejections, requested changes, etc. are retained with each request. What does this mean for you? Transparent processes, comprehensive track records, and complete audit trails for the auditor. Sorted. No more headaches in that respect! Learn more about “Audit trail”.